Happy Thanksgiving to all on this day of thanks and friendship. We at BxCheapskate and Martinez Consulting Services wish you an awesome holiday. Building credit without the help of someone can be very difficult. You have to know the ins and outs of the business, and tackling a billion dollar industry on your own can be difficult. One method people use is the help of cosigners. It is important to remember the pros and cons of cosigning, whether someone has cosigned for your, or you have cosigned for someone else. Also, knowing how to cosign effectively for someone is important to build/rebuild your credit. Cosigning means that due to your lack of credit or poor credit, the bank would like someone with good credit to back you up if you default on the loan. This method is good when you are trying to build or set up credit. Talk with a family member or a friend to have them cosign for you since you don’t have credit. In addition, let them know that you are trying to build your credit. After a year of on-time payments, your credit should be at a level where you no longer need the cosigner to stay on the loan. Call the lending company and ask them to remove the cosigner. This shows the cosigner that you met your part of the bargain and was responsible with their Now, if you stop paying on the loan, the bank will go after the cosigner for the balance of the loan. If this happens, the relationship will definitely sour, so be cautious about entering into a cosigning agreement with someone. If you go down this route, take steps to protect yourself and the cosigner as well. Start with a small loan at the bank and make your payments on time for a year, paying off the balance so that you can release your cosigner. The quicker you can release the cosigner, the faster your credit will increase, and the relationship will improve, as trust in you will increase. Building credit takes time, but if done correctly, you can reap the benefits greatly. You don’t need to be rich to take your dream vacation or buy your dream home. Budgeting wisely and using credit correctly can help you do these things and more. If you need assistance in achieving these goals and more, feel free to contact me for more information. I hope you are doing well as we enter the holiday season. It is almost 2017, and many of you still have not taken the step towards financial freedom. One way you can build or rebuild credit is with a secured credit card. Getting a secured credit card and using it responsibly is an excellent way to build creditor’s trust in your ability to use new credit so that eventually you can get an unsecured card. With a secured credit card, the companies need the cardholders to secure their credit purchases by depositing a certain amount of money as collateral. That way, if you don’t pay your secured credit card, the bank can get repaid by withdrawing the money owe from the deposit you provided. These cards can be used the same way as an unsecured card, except that your money secures them. The good thing about secured cards is that no one knows that the card is secured. The downfall to these cards is that they usually come with high interest rates, over-the-limit fees, late fees, annual fees, cash advance fees and maintenance fees. This is the credit card company’s way of encouraging you to pay to build your credit. Once you have reviewed your credit report, you are ready to sign up for a secured card. Does your company report to all three credit bureaus? When will I qualify for an unsecured line of credit? Talk with your major local banks and credit unions. What is the best way to find secured cards? I hope you are working on improving your credit and start the new year on the right foot about credit. You might even be able to take your dream vacation once you get your finances in order, regardless of how small your income is. There is always a way to improve your finances and enjoy life without making extra expenditures. Feel free to contact me with any questions you may have about any of the services we offer. The housing market has started to turn around after the mortgage and banking fiasco of 2006. More and more houses are being purchased, which in turn means more people are becoming landlords. New buyers are off-setting their monthly costs by renting out units in their own home, as well as investing in rental properties. The landlord-tenant relationship can be kept in good terms if steps are taken to ensure everyone is on the same page from the start. Becoming a landlord is fairly easy. You buy the property, and then you advertise that you have rentals available. Very simple, but now comes the hard part. When renting property, you must and should have a complete tenant file. What if the tenant fails to pay rent or violates a clause in the lease, your case can be dismissed because you don’t have all the documents necessary to defend the case. Even before going to court, if you don’t have the tenant’s identifying information, i.e. Social security number, state identification number, date of birth, etc., you cannot start a case against them. The tenant file also should contain the unit’s maintenance record. Staying on top of property maintenance can save you thousands in future repairs and emergency situations. Also, the tenants can have peaceful enjoyment of the property as their lives are not hindered and/or interrupted by management having to do major repairs. Copies of any correspondence with the tenant. The Landlord Rental Starter Package is a great tool to have in your landlord arsenal. The package contains template forms and letters that will help keep you organized and on top of things in your rental property business. The package also contains the tenant file checklist as well as important dates you should take note of for every unit you have rented. Renting property might be your livelihood, and as such, you should take all the necessary steps to ensure your investment and income are both protected and documented correctly. A small investment on template forms and letters can save you thousands in the long run. As this week comes to an end, we have started a new month and the weather has warmed up rather quickly. Here in NYC, it was about 45 degrees one day, and 82 degrees the next and has continued to stay warm ever since. The summer is here early and even though you might want to stay out and enjoy the glorious weather, you shouldn’t neglect your duties as an entrepreneur. If you have systems in place, which you should, you will have the time to handle all your duties and enjoy the weather. One example of said system is goal setting and personal analytics. Setting goals is a great way to stay on track. Goals give you something to strive for, as well as act as a measuring tool on your progress. I like to push myself a little farther, especially after achieving the goal I had set. I review the goal list for the month that just past, keeping note of the ones I achieved, including date of achievement, and the ones I failed to meet. I note what prevented me from completing that goal and 3 different ways, for each excuse, on how to overcome the barrier. Nine times out of ten, the solution lies within you and you just have to figure out the best way to bring it forward. Analyzing the goals is a great method in figuring out your barriers and what you need to demolish them. As I write down my goals for the new month, I include the ones I did not complete, with the methods I will be using for each goal, in order to meet the goal this time around. If need be, I research and study all the things that were holding me back. Let’s say you did not meet the sales numbers you had set upon, but you noticed you did not network properly to expand your clientele and name in the community. You might want to take a confidence class, which will help you speak and network effectively and with confidence. Confidence breeds success, and when you are confident in your self and what your do or offer, others will see the same and be more willing to work with you. Another example of a business goal not achieved is lack of leads from social media accounts. You might want take a class/course on social media marketing and tools to increase your knowledge in the area and learn the tools necessary to implement a profitable social media marketing plan. The analysis is the easy part, the action you put into meeting the goal is what counts. If you do not intend on doing the work, it makes no sense for you to set goals, since you plan on doing nothing with the information learned. Investing in yourself to meet a goal will pay off ten fold in the future. Knowledge is something no one can take away from you. The more you learn, the easier it will be to meet your goals and the more time you have to enjoy yourself and family. Just remember, ad I cannot stress this enough, learning alone will not bring forth success, you have to put into action what you have learned. 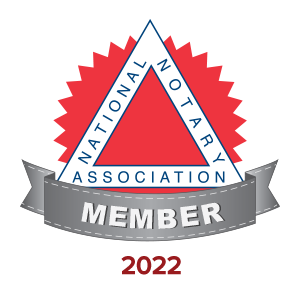 I set goals every month, and my goals for the month of June are as follows: (1) $10K in sales; (2) Attend 2 networking events; (3) buy new laptop and printer; (4) begin studying for the PACE Registered Paralegal Certification Exam; (5) Do my first webinar. Have you set your goals for June? 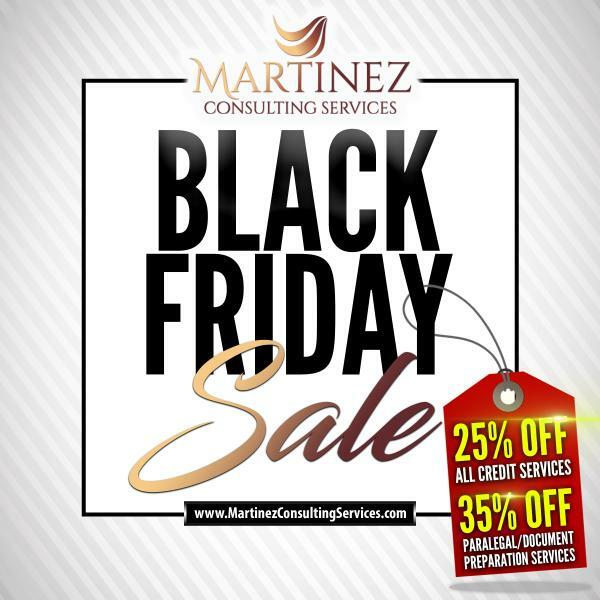 Feel free to post them on the Martinez Consulting Services Facebook Page or under the picture, featured above, on the Martinez Consulting Services Instagram Page. Over the years, I have been involved in many types of businesses, legal and illegal. I have no shame as my father used to tell me you learn everything, because you never know a day might come where you will need those skills to survive. My father was my first teacher when it came to business, and never stop learning was ingrained in me. At first I thought it was fun, I was five years old and helping my dad with his “work”. My dad had many legitimate businesses over the years, but he always supplemented his income running numbers, or better known as the ghetto lottery. In the eighties, my dad started giving me little jobs to do in the business, since he ran it from our home, I had business education . At an early age, although I was having fun with my sister, I was being taught how a business is run with systems. I would see my dad creating charts by hand to document his “work”, then their were recordings of phone calls as back ups to the charted data, and more. As I grew older, I wanted to take part in my dad’s other business which consisted of property management, video stores, grocery stores, a social club and a softball team. My dad took me everywhere with him and I learned about all the businesses and participated in the management too. By age twelve, I was managing one of the video stores, working along my dad learning about the administration of employees and dealing with direct sales. Up until this point, I was always behind the scenes doing mostly administrative work at home. By the age of eighteen, I would’ve continued working along my dad, but his words still resonated, never stop learning. Since my business background was probably more of an education than I would’ve received at any institution, I decided to go into the legal field. I attended John Jay College of Criminal Justice in NYC and received a Bachelors in Legal Studies. Before I even received my degree, I started to work in a law firm, learning what else but real estate. I actually am trained in all areas of law, but my main activities revolved around the buying and selling of property, as well as management and the eviction process of tenants. I have continued to learn in the 15 years I’ve been actively working in the legal field, and I use what I’ve learned in all of the businesses I now own. I have developed a tough skin, especially since I’m a small business owner in a male dominated world, especially in the real estate business in NYC. It doesn’t help me that I’m only 5 feet tall, you should see how I look in Court among dozens of attorneys, usually 5′ 8″ and taller. I have to literally push my way to the front just so the judge can see and acknowledge me when the case is called. In recent years, I had to learn about Alzheimer’s and epilepsy. In 2008, my dad fell down the stairs on New Years Eve. I was bleeding for hours, unconscious on the floor, until a tenant found him at around 1AM, January 1. Because my dad smelled like beer, he was automatically classified as an alcoholic that was celebrating too hard. No testing was ever done and no follow ups were scheduled. He again fell and had to be taken to the hospital, sometime in February. Again, no testing was done and no follow-ups were scheduled. Since I was working in the law firm, I did not notice that my dad was doing worse than originally thought of, but the tenants noticed and they began to take advantage of the situation, including my uncle, his brother. The “falls” stopped for years, so I was continued to be oblivious to the situation in the businesses. My dad had already put me on the business documentation, but I had not taken over anything, as I did not see the need. In my mind, dad was still capable of running things. Everything changed when Hurricane Sandy hit, and our main residence was damaged. Since there was an apartment vacant in one of our rentals, I was able to move in with my daughters. Now I was spending more time with my dad, since we was now together everyday; my mom moved in with my sister since that was closer to her job. Now that I was there everyday, I was shocked to see the state of things, and immediately began to take action and enforce the paperwork dad had prepared. I began to evict all the tenants that were not paying and began to rehabilitate the properties. You need to invest money, to make money. I had some help from about 3 family members, but that is it. No one wanted to help me because I would not do things shady, or was not lenient with any of them. As things started to turn around, my dad “fell” down the stairs again and had to be hospitalized. This time around, he had to spend 8 days, since the injury to his skull was severe. About a month after being released from the hospital, he had a seizure early in the morning. The doctors again said it was the alcoholism, but my dad was now living with me permanently, and he was not drinking at all. I was ignored and he was released a few hours later. The following month, Thanksgiving day, my dad fell and had another seizure. This time around, I changed the hospital and he finally got the treatment he needed. He was having seizures all along, but since he was classified as an alcoholic, he was never tested or treated for it. The epileptic seizures runs in our family, as does Alzheimer’s, which accelerates if the seizures are left untreated. All of these obstacles in the latter part of my life, have opened me up to learning more. Not about business or legal stuff, about myself. I’ve learned that I can do it, no matter how hard the obstacle seems. I was faced with threatening tenants, abusive family members, abandonment when everyone turned their backs with the hurricane and with my dad, as well as legal issues and contempt when I had to evict my uncle from an apartment. It was hard but I learned and pushed thru. I still get the occasional hater, but I just brush it off and continue to do what I have done. I was able to work on the properties, all the while taking care of my father, 2 girls and officially starting my business, Martinez Consulting Services. I was already providing these professional services to many locals since the early 90s, I just never made it official until 2015. I learned I was being selfish by keeping all the skills I have learned over the years, and I should be sharing them with others, not just locally. By providing professional services, I have been able to continue to deal with the mess my father created, unintentional, but still a problem I had to deal with, since no one else stepped up to the plate, out of six kids. Everyday I try to learn something new and share something new. Maybe I’ll start a new saying with my girls: Never stop learning, but at the same time, never stop teaching. Your gifts and talents are not yours, they are to be shared with the those who need them. Don’t forget to comment below if you find any locations not mentioned above. Enjoy your day…. As the years went by, I continued studying and expanded into the legal field, with an ultimate goal of becoming a lawyer. I became a paralegal to get practice in the field, but doing the administrative and research part was, to me, more enjoyable and I desisted on going to law school. I continued to do some business consulting and assisting as I worked in various law firms through out years, gaining experience in various sectors of the legal field. I concentrated on my career, and was not involved in the family real estate business at this point of my life. Then, Hurricane Sandy hit in October 2012, and everything changed. The house we lived in was damaged during the storm, looted by thieves afterwards, and insurance didn’t cover any of it. FEMA gave us approximately $4,600 for repairs, but that all went mainly on the clean up and removal of the tree that fell on the house and securing the house to prevent further break-ins. I wasn’t worried about the money at the time because we owned property, in mind it was going to be easy to get a loan for everything we needed to repair and move back home. Boy was I wrong. My dad was developing Alzheimer’s and had not been running the business correctly. I was so busy with my career and kids that I didn’t see the signs that he was sick. He had fallen on several occasions, but each time the doctors said it was because my dad was drinking. He was labeled an alcoholic and was not tested on, if they had , they would have discovered he was having seizures. The seizures were accelerating the Alzheimer’s symptoms, which explained why the business was the way it was. I tried getting a loan, and was denied because the business didn’t have credit. How could this be when the properties all have a total combined value of approximately $1.2 million. Why am I being denied when we are technically millionaires, at least on paper? The business didn’t have a red cent to its name. The tenants had already noticed something was wrong and were taking advantage of the situation. I took a step back and started taking control of it all. I began evicting all the non paying tenants, and I took steps to rehab the properties, as they were in disrepair. While all of this was being done, I began to take courses on finances and credit. I had to learn why I was denied, and what I had to do to fix that. It took time but I have learned the ins and outs of credit repair and building credit files for both individuals and businesses. I decided to incorporate my consulting business and build a separate credit file, as I have learned my lesson, the hard way, but at least I learned. I also want to teach others the same before they are faced with a predicament like mines, so I added the service to the list of professional services I offer. Running a business can be bank-breaking, especially the first two years in business. Being able to establish credit early in order to enable the business to run continuously is essential if you want to succeed. Don’t wait until it’s too late. I hope my story sets an example of what not to do, and make sure your finances are in order, both business and personally. It’s best to always be prepared because you can’t rely on things, like insurance, to get back on your feet in the face of adversity. Having a bank account is something everyone debates at one time or another in their lives. Saving money and banking is something that should be taught in high school, where many teens already gave some form of a part-time job. Learning how to use and save money early on in life can help prevent credit pitfalls in the future. My grandparents were the first generation with a bank account in my family. They knew very little about what it meant to have a bank account. My grandparents didn’t have bank accounts until they were in their 60s. It was unheard of to give your hard-earned money to someone else to hold, someone you don’t know. You would hide your money, somewhere in the house, which you can get to quickly in case of an emergency. That’s about the only benefit of having your money stashed away at home, 24-hour availability. Keeping it at home puts you at risk for burglary/theft. If the wrong person finds out you have a large amount of money stashed away, you better believe that sooner or later, they will break in and steal it. Now, having your money in a bank account is the smart way to go. A bank account “forces” you to save money. I have forces in quotes because you are not obligated to save but if you save money, you save on bank fees. Yes I know, the dreaded bank fees, but these bank fees are only charged if you have less than a certain amount in the bank. Either you keep a certain amount saved in the account, or you pay monthly fees for as long as the account stays below the minimum threshold. The bank account can also make you money with interest. Even though some checking and savings accounts usually have low-interest rates, other investment and retirement accounts have higher interest rates, increasing the amount earned on the money saved and/or invested. The best and probably the most important benefit of a bank account is it shows to creditors that you are financially stable. Creditors and lenders will approve an applicant with a bank account quicker over an applicant who has no bank account. The bank account is like a symbol of maturity and growth proving you are responsible in handling your financial affairs. If you don’t have credit and are looking to start establishing your credit file, start by opening up a bank account, a simple checking and savings account. Some accounts can be started with as little as $25 into each account. Even though you may pay your bills on time, debit payment, on location payment or by mailing a money order, setting up automatic drafts from your checking account establishes a separate payment history, with companies like Paychex that record banking transactions, that are then used to offer and/or extend new credit. Please note, that a money order drafted out of a bank account is not recorded like a check is. Once you lose a money order receipt, unless you had the number of it recorded elsewhere, you lose the record of the transaction. Open up a bank account today and start saving money the right way. Saving money at home is of no benefit to you, in the bank you make money, regardless of how small the amount earned. It is more than what you earned keeping it home. Research banks and find the one that offers the best deals for you. Try to find accounts that offer cash back and keep the change programs. These are great earners, separate from what you earn from interest. Before you know it, you will have learned good saving habits and your credit file will reflect as such. Good savings habits = good payment habits = awesome credit file. Want to get started on the right foot, send me an email with a subject of FREE Monthly Budget Planner Form and I’ll send you my form with instructions on how to get started. It’s a beautiful day in New York City, a bit cloudy, but beautiful. Passover ends this weekend and public school resumes on Monday, which means back to the quick hustle and bustle the city is accustomed too. If you have the time, check out some of the locations, in and around the city, your favorite stars will be working at today. If you see any other sets around town, post the location in the comments below. Enjoy your day. For years I have struggled with keeping a budget the way most advisors say it should be kept. Being involved in business, I have always been surrounded by numbers and finances. Since I’ve been involved in businesses since the 80s, most of my research was done the old-fashioned way, going to the library and borrowing books. Each and every book I have read throughout the years only repeated the same information…you must keep track of everything that comes in and goes out. Budgeting is the lifeline for everything in life, whether for business or personal. All the books say you must keep track of everything you spend money on, no matter how small the amount is. Seriously, having a full-time job, running two businesses, taking care of my dad who has epilepsy and Alzheimer’s and a single mom, its difficult keeping track of the small expenses. The notion that you cannot budget correctly unless you account for it all is a set up for failure for many, especially when you are not used to using lists and budgets to keep track of it all. Budgeting has to be realistic, and should cater to everyone’s level of budgeting ability. You should keep track of when your payments are due, since most money gets spent on overdue and late payment fees. Making sure your payments are made on time teaches discipline and can enable you to move from living paycheck to paycheck to just living. As long as your bills are paid on time, too much shouldn’t be spent stressing on the little things you are spending money on. Eventually you will take everything into consideration, but it takes practice and discipline, take baby steps. Don’t force yourself to change your habits overnight. Forced things never stick, and you want to be able to practice good budgeting skills as if it was second nature. One thing I do stress from the beginning is to make savings and an emergency fund a required monthly bill. An emergency fund is money that you use in an emergency, just like the name implies. It is customary for financiers to say you need at least six months of living expenses set aside in an emergency fund. This will enable you and your family to survive, whether it be because of loss of employment/income, natural disaster, etc. When starting an account like this, you can account for anything, besides your monthly expenses, that you want to make sure its covered for, in case of anything. You do not need to start setting aside large amounts, starting by setting aside as much as $1.00 is all you need. We always make excuses when it comes to saving funds, but saving money is a learned practice that increases over time. You set the bar with the amount every month. Over time it will increase as your budgeting practices get better. A savings account is separate from your emergency funds, because buying a car or a house is a luxury and not an emergency. A savings account is for whatever luxuries you want to buy. You want to go on a vacation, it comes out of your savings account. You want a new car, the deposit comes out of the savings account. Just like the emergency fund, you can start saving as little as $1.00 until you get used to the practice. As your budgeting gets better, you will automatically increase the amount of money you set aside and before you know it, you can afford to give yourself certain perks that were not possible before. Budgeting doesn’t have to be hard or a burden. Keeping track of finances is hugely important, since many aspects of our lives are controlled and dominated by money and credit. Here’s a simple MONTHLY BUDGET PLANNER I have created to make budgeting easy. Good credit starts by budgeting and keeping track of credit obligations. I have included simple instructions with planner and I hope it helps you with your finances as much as it has helped me. Every where we go, you hear talk about good credit, credit checks, credit scores, and other credit terms that can baffle you. Credit and credit scores are the lifeline of the financial industry. It is very difficult to go through life without applying for some form of credit. Credit is when an individual or business gives you something of which you promise to pay at a later date, usually in installments. Loans, mortgages and credit cards are the well known types of credit there is, but changes in the credit reporting industry can have accounts reported from utility companies, insurance companies and landlords/rental companies. Credit is granted based on what is in your credit reports and your credit scores. A credit score is a numerical calculation on the likelihood that you will pay your credit obligations. The higher the number, the more trusting a company is to grant credit. The numerical calculation is based on your payment history, types of credit, amounts owed, length of credit and credit inquiries. Payment history is makes up 35% of your credit score, making it the most important. Always make your payments on time and never skip one. Missing one payment or paying late can drop you scores by 20 points, even more, and recovering from that can take a long time. How much you in all your credit obligations accounts for 30% of your credit scores. Just because you have a $1,000 credit limit on a credit doesn’t mean you should use it all. The optimal rate is using 30% of your available credit, going over this percentage reduces your credit scores. Length of credit history is 15% of your credit scores. The longer you have had credit accounts open and active, the better your scores. This shows that you’ve had credit for some time and have kept up your part of the bargain. The longer you have had credit, the better the odds of attaining new credit. Your credit scores also take into account the kind of credit you have, and it makes up 10% of your scores. An optimal credit report has 1 mortgage loan in good standing, 1 auto loan in good standing and 3-4 credit cards, active and in good standing. Having different types of credit accounts shows all around financial stability and creditworthiness. Finally, inquiries into your credit reports account for 10% of your scores. Whether credit is granted or not, every time you apply for any typ of credit, a notation is made in your credit reports. Too many inquiries, especially around the same time, can raise a red flag while lowering your scores at the same time. Creditors assume you are applying for credit irresponsibly when you request lots of credit at the same time. Do you know the health of your credit profile? When was the last time you checked your credit reports? Are you actively taking care of your credit reports, improving them so your credit scores can go up? If you need assistance in this, or have another credit question, feel free to CONTACT ME. We are always talking about credit and how to deal with it in the now, but what happens to credit obligations when the credit holder passes away. For the most part, people hate having to talk about death and planning for that moment, and usually avoid the issue at all costs. Death and taxes and unavoidable no matter how you choose to ignore it. Your credit debt does not automatically get “erased” upon death. Your estate administrators have to handle all debts and obligations before the estate can be finalized. You are probably thinking ‘I don’t have enough money to have an estate’, wrong. Everybody has an estate upon death. Some only have personal property like jewelry and home furnishings, while others have large sums of money, real property, etc. If you die and had a written will, your estate will be probated in surrogates court and handled by the Executor/Executrix named in your will. If you die without a will, your property will go through administration in surrogates court and handled by an Administrator/Administratrix appointed by the court, usually a next of kin. This Executor(trix)/Administrator(trix) has to pay all the debt left by the decedent (legal word for the dead person) before anyone can inherit. Debt can be a mortgage, credit cards, auto loan, medical debt, child support, liens, etc. If you ever received help from the government (welfare, Medicaid, food stamps), they can put a lien on the estate and recoup the funds, which can blindside a family not expecting something like this. To avoid surprises and family bickering, you should have a will stating everything you want done and who to handle it all upon your death. You should take it one step further and have some form of insurance to cover these expenses, that can be burdensome to a grieving family. There’s burial insurance that can cover all funeral and burial expenses, helping your loved ones since they don’t have to worry about having to pay for this expense. Then there’s whole and term life insurance which can cover all the other expenses and offer some stability to the beneficiaries of the policy. Also, the estate can take long to be finalized, years even. The insurance policy can help your family/heirs greatly during the court process and can be as low as $5.00 per month. Most of us have shoes that cost more than a simple yearly policy. Planning for the future is important, especially if you already have children. Why be a burden on them while they are mourning your loss. Taking care of your credit is important while you are alive, but also in death. Credit and the benefits it brings is important in life and can be damaging if not used correctly, but don’t neglect taking care of your credit after death. Please feel free to contact me if you have questions by sending me an email HERE.